On today’s edition of Soundwaves 10@10, it’s another edition of Top 10 Tuesday! 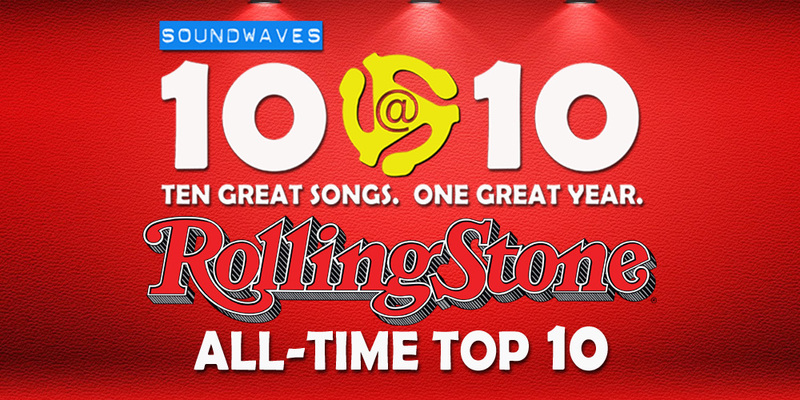 We’ll count down the ten greatest songs of all time, according to Rolling Stone magazine. All the usual suspects are there – the Stones, the Beatles, Ray Charles, Aretha – but you may be surprised at the most recent song on the list. Any guesses what #1 will be?